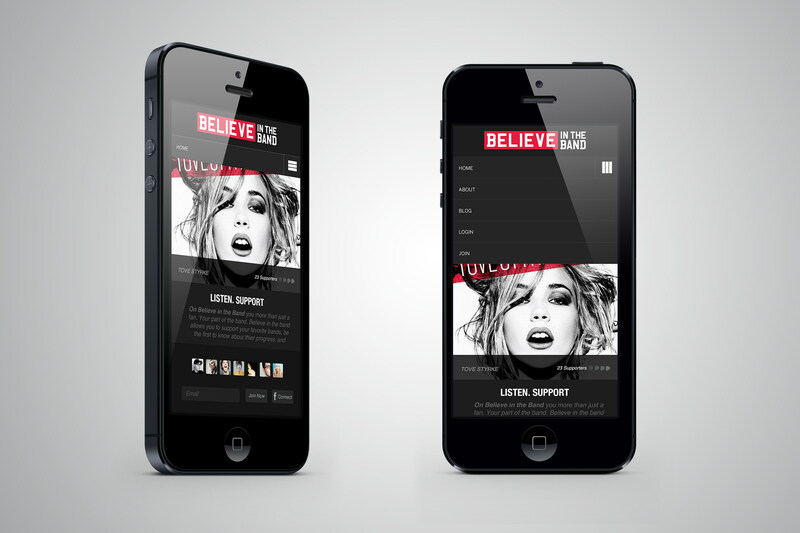 Believe in the Band is an online platform that allows fans to support their favorite bands and artists. This platform was designed to allow bands to post specific needs and leverage fan loyalty by allowing them to donate funds in support of their favorite bands. This website needed to be a visually compelling online community that appeals to today’s emerging musicians and their respective followers. The goal of this project was to develop a thriving online community of music lovers and bands who can interact in a mutually beneficial way, supporting both the artists and cultivating loyalty within their fan base. 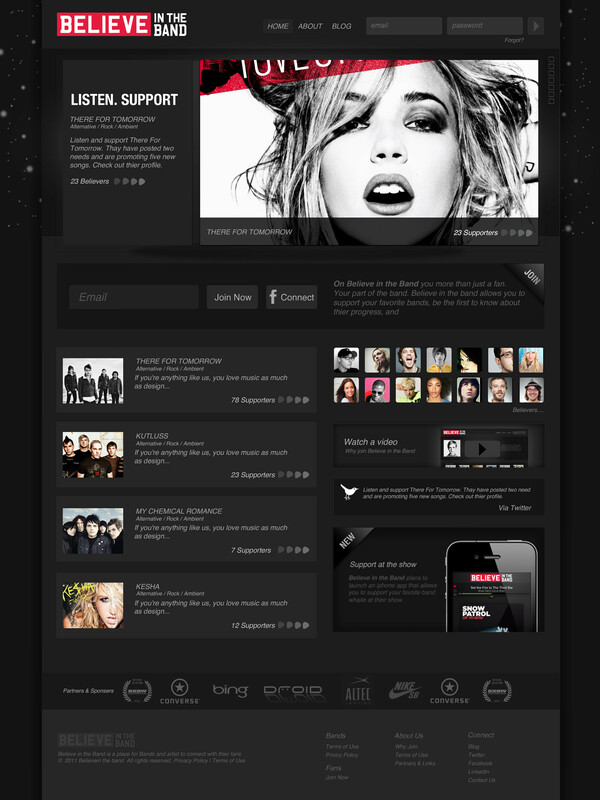 This site was designed to make a visual impression on the music industry. We thought it should look clean, dark and edgy, and appeal to a younger demographic. This site needed to turn the heads of Believe in the Band’s most valuable assets: bands and their enthusiastic followers. "We are really excited and truly believe you are giving us a great product for people to believe in. You are making it easy for us to get VC’s on board."